A new service focused on helping adult social care employers find the right staff, to service the growing needs of the health and social care sector in the East of England, has been launched. Care Careers East works with care providers seeking staff in Suffolk, Norfolk and North Essex. It also works with individuals who would like to work in the care sector by matching them with existing vacancies. Care Careers East in not a recruitment agency in the traditional sense; it is a not for profit organisation recruiting permanent staff, supporting care recruitment in the East. Its team has worked with social care employers for many years. *According to Skills for Care – the strategic body for workforce development in adult social care in England – the number of people working in adult social care in the Eastern region is estimated at 158,000. The sector contributes £4.4 billion per annum to the economy. *Although the number of adult social care jobs have increased by 11,000 across the region in the last five years, Skills for Care estimates 7.4 per cent adult social care sector roles in the East are vacant, equating to approximately 10,000 vacancies at any one time. A large proportion of the churn is people leaving the sector soon after joining, as well as difficulties attracting staff, particularly younger workers in the East. Based in Needham Market, Care Careers East has been set up to support employers trying to tackle these kind of recruitment challenges. It is a sister organisation to The Suffolk Brokerage, a not for profit organisation dedicated to raising care standards in Suffolk by providing impartial advice and guidance to the county’s care sector. 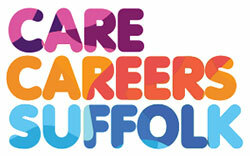 It also assists those who would like to work in the sector through their Care Careers Suffolk advice service. Care Careers East Recruitment Services Manager, Emma White, said: “We have a successful track-record in helping, and expert knowledge of, the local health and social care market. Launching a recruitment services company to support the sector to get the quality staff it needs, as well as helping people looking for care work find the right job, seemed like a natural extension of what we already do. “We can offer care providers the benefit of our specialist knowledge over generalist recruitment agencies. Many already know us and trust us and we have a good reputation with employers. We have set up as a not for profit organisation so we can offer low-cost, but high-quality recruitment solutions. “We are also good at spotting what it takes to be successful in this sector, with a focus on recruiting people who have the right values and also helping them to understand the sector. This can only be good for employers as a large proportion of turnover of staff is because of people leaving the sector just after joining. This may have been because their perception of the job did not match the reality. She added: “There are so many different roles within the health and social care sector, from care worker, registered manager, activities coordinator to occupational therapist, and there’s a lot we can do to guide people through the jobs maze and forge a rewarding career in care. We can even put people in touch with others already working in the health and social sector to tell them about what it’s like working in care and give them insights on how satisfying a job it can be. This gives them a realistic picture of whether or not it’s the right job for them. “When considering care careers, people should know that skills in other jobs, and life experience can be easily transferred. It’s more important to have the right values and life skills than qualifications when working in this sector. You can gain qualifications at different levels as you progress.